One of the most notable additions to Android 9 Pie was Digital Wellbeing, a feature that can help you track how you use your phone and alter your habits. Most people don't have Pie, but the latest beta update to the Microsoft Launcher has a similar (but more limited) feature. It's called "digital health." Microsoft's digital health feature can track which apps you use, how long you use them, and even how often you unlock your phone. 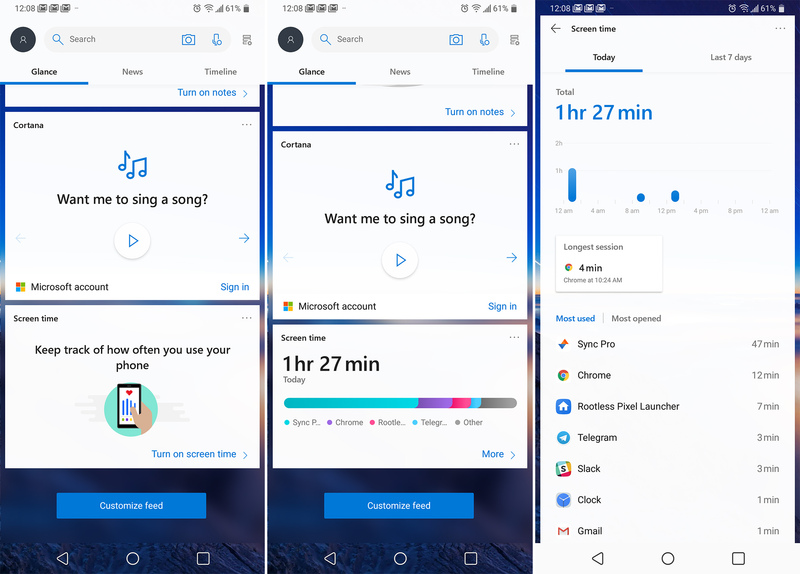 Those are the core features of Android's Digital Wellbeing wrapped up inside the Microsoft Launcher. You'll find the digital health feature in your cards on the far left home screen panel. It needs usage access in the system settings before it can track data, though. It doesn't have the advanced features of Android Digital Wellbeing like app timers or winddown mode. That's the headlining feature in 5.1 beta, but there's a little more to see. Here's the changelog. Microsoft Launcher 5.1 beta is available in the Play Store if you join the beta program. You can also install it from APK Mirror.